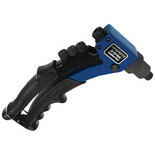 Provides effortless functionality and access to restricted spaces and includes 7 nozzles M3, M4, M5, M6, M8, M10 and M12 and plastic case. 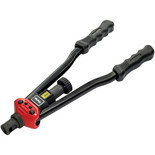 The Clarke CHT879 provides effortless functionality and access to restricted spaces. 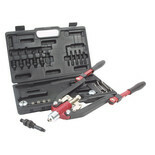 Includes 5 nozzles M3, M4, M5, M6 and M8, spanner and plastic case. 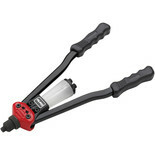 This Clarke riveter features a heavy duty grip and a stem collection tank to avoid having to clean up after working. 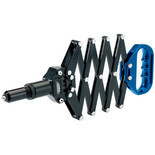 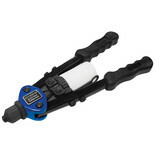 This model also includes 2.4, 3.2, 4.0, 4.8 and 6.4mm nozzles. 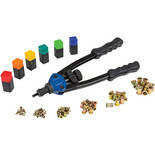 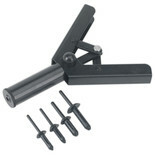 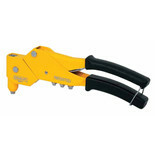 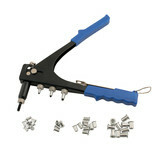 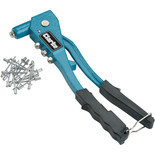 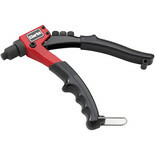 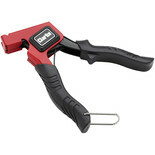 This single hand riveter has 4 interchangeable nozzles including 2.4, 3.2, 4.0 & 4.8mm rivets. 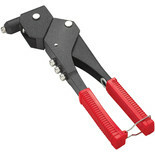 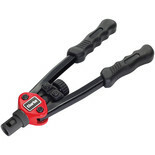 Allows access in hard-to-reach areas not accessible by conventional lever type tools.